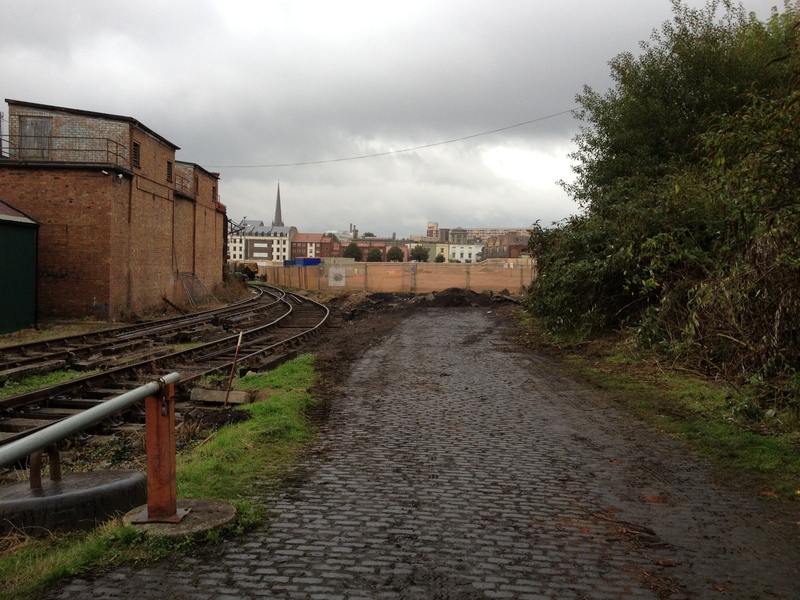 A little reminder that the railway’s final operating weekend of 2013 is coming up! 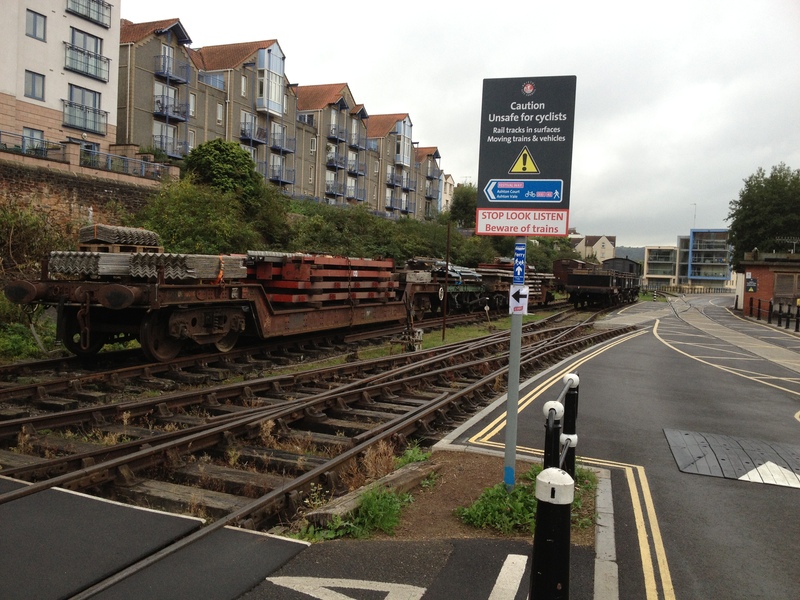 If you want to come down and see this unique steam-operated line in action this year, do come down this weekend and have a ride! 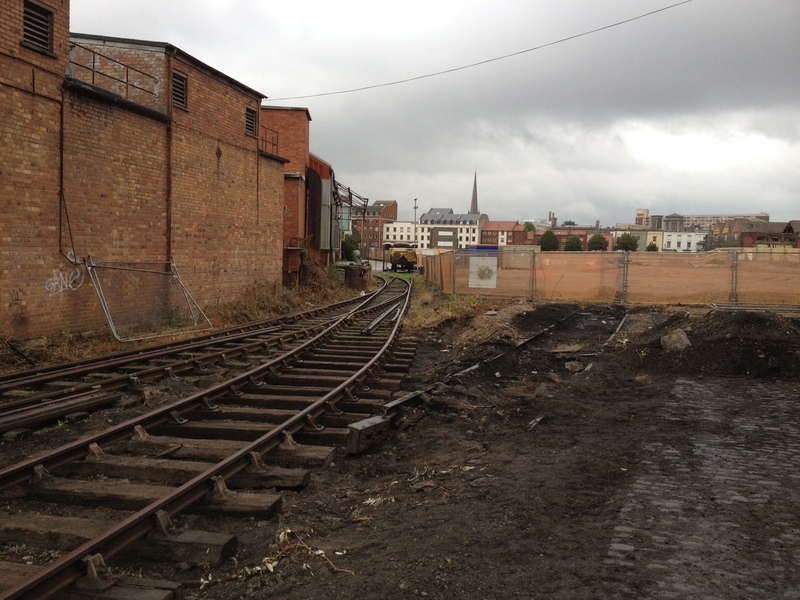 The Barn has now been dismantled and stored on wagons in the yard, allowing the headshunt to be reconnected to the shed road once more. 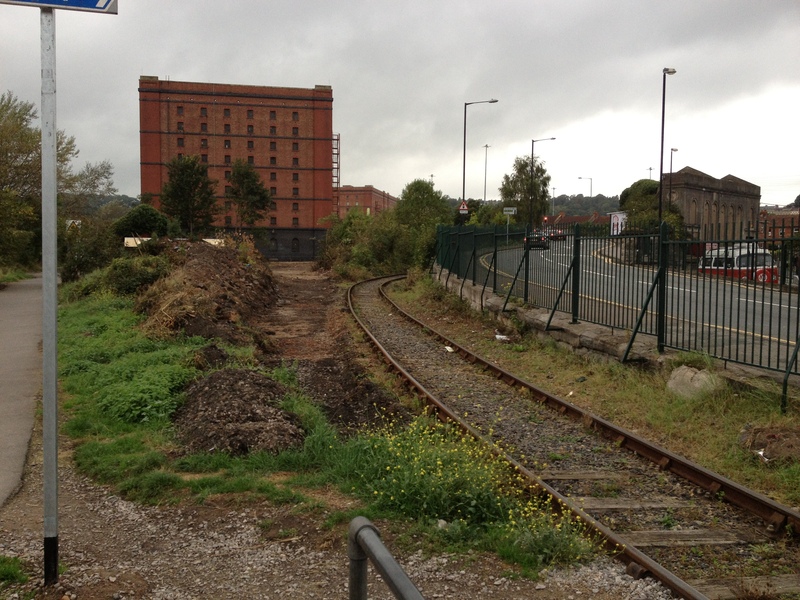 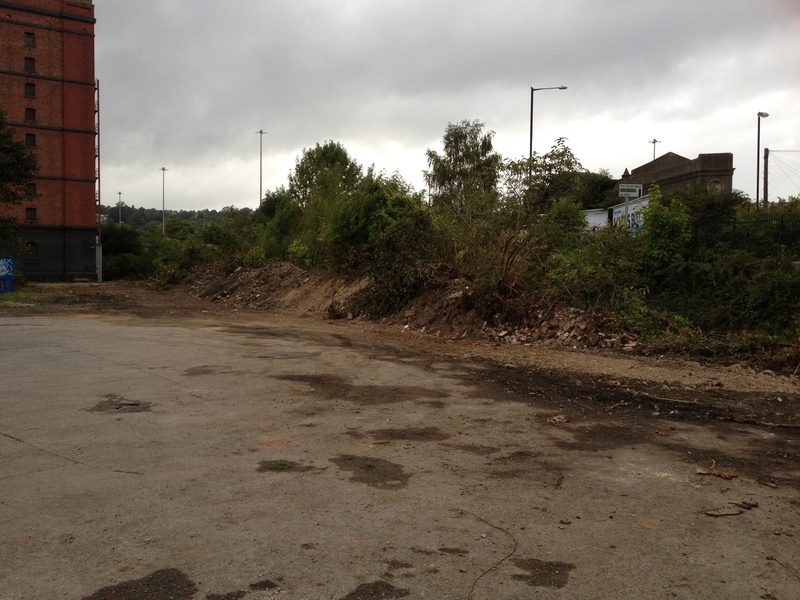 Down at A Bond, site clearance has taken place with a view to the proposed remodelling. 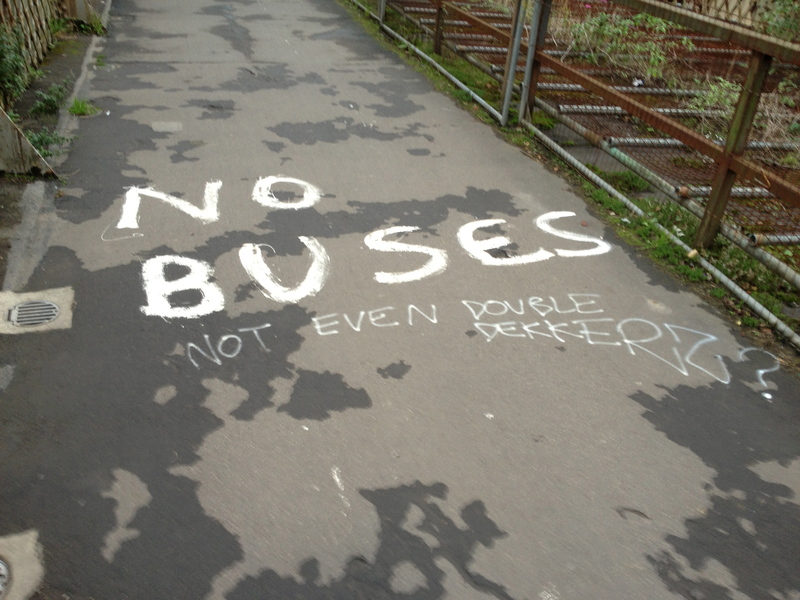 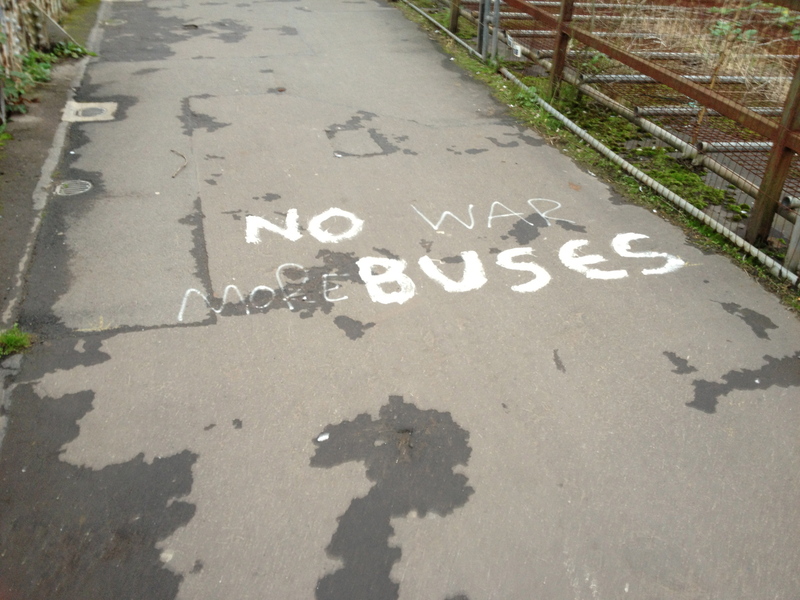 The war between the pro and anti bus route campaigners has spilled onto the paths. 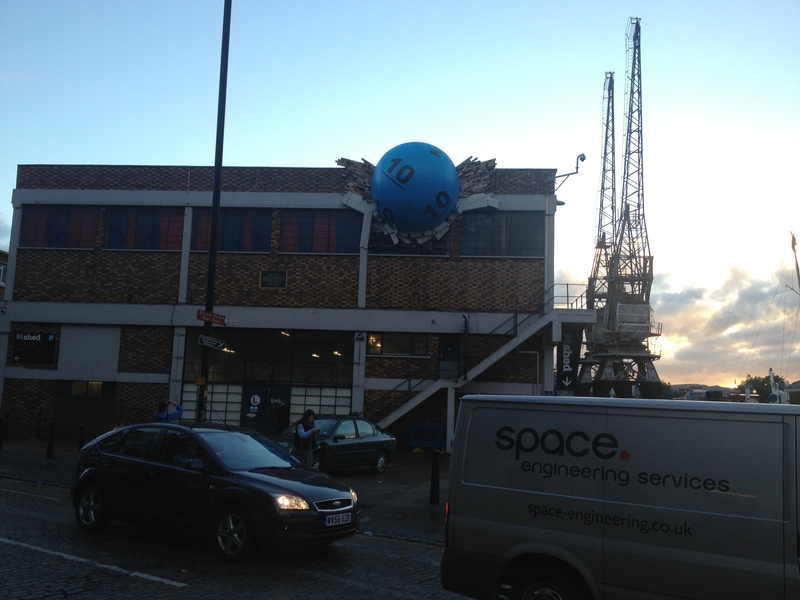 Finally, a giant lottery ball hit L shed.